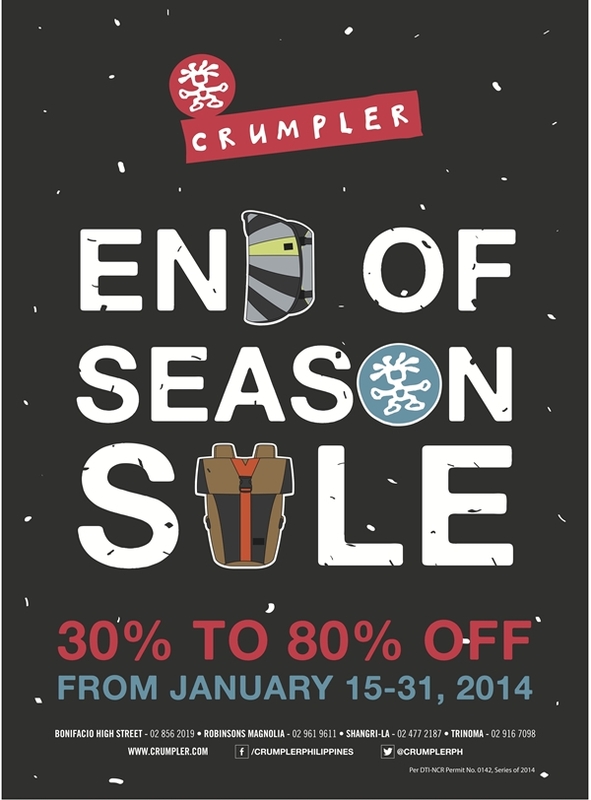 Crumpler is currently holding an end-of-season sale. Originally scheduled from January 15-31, 2014 only, the sale has been recently extended until February 15. Crumpler items are heavily discounted, with some being offered at 80% off. If you want to check out the sale personally, visit Crumpler stores located at Bonifacio High Street, Robinson’s Magnolia, Shangri-la Mall and Trinoma. I was able to personally check out the Crumpler store in Shangri-la and the items on sale are really attractive. Check out this poster for more details on the Crumpler sale.